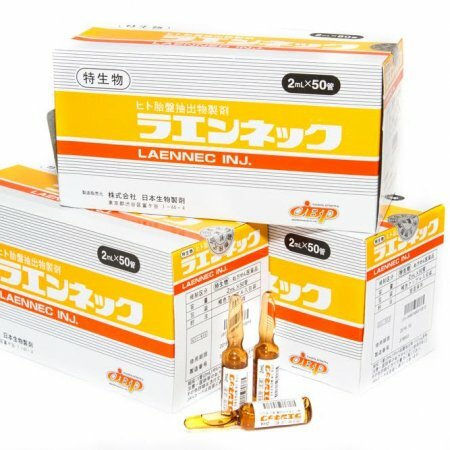 Laennec is the ethical drug manufactured with JBP’s unique technologies for effective extraction of variety of growth factors, cytokines, and other physiologically active substances from the human placenta. For instance, HGF (hepatocyte growth factor) promotes the proliferation of hepatic parenchymal cells for recovery of a damaged liver. 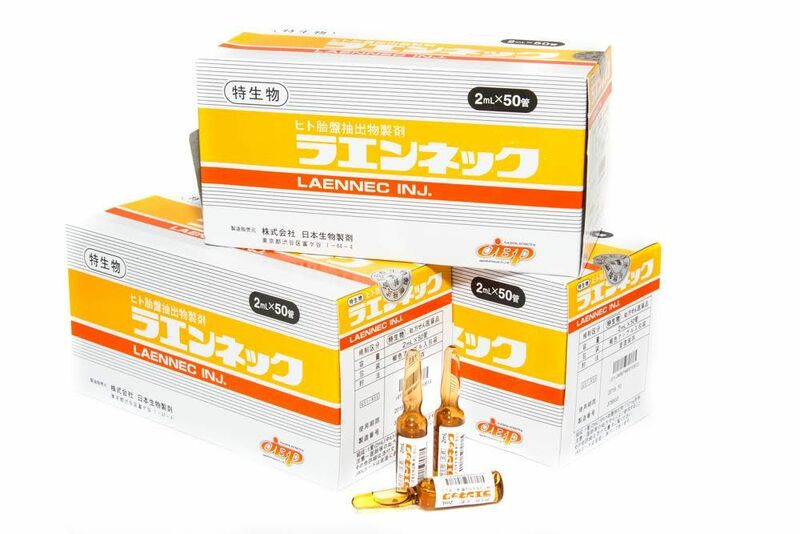 Laennec stem cell Growth factor therapy injection: It has been well believed that with people in their life span care most are those problems of health, juvenescence, and longevity. 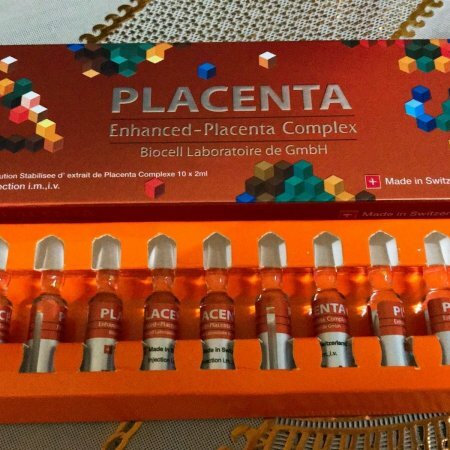 However, it is not until the revolution and advancement of 21st century biology technology, Human Placenta Extract can be conducted and utilized by human beings to bring new hopes in life. 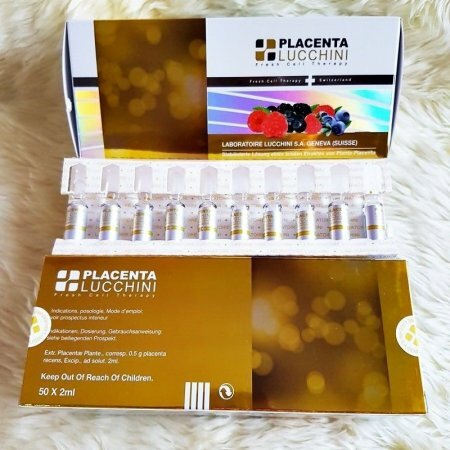 Therefore, we want to introduce to you this new-age born premier product out of a prudent heart, namely the Laennec Human Placenta. Growth factor, which has been valued as the best product for human health. 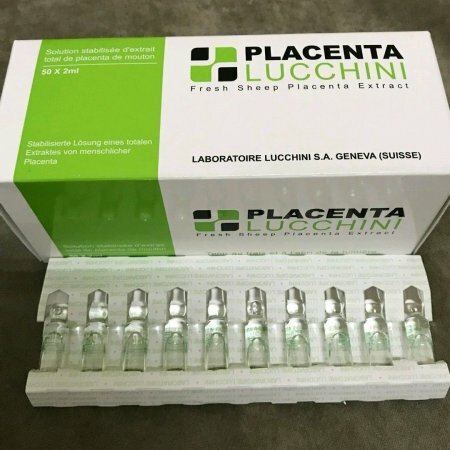 Laennec Human Placenta injection adopt the quality placenta which had been passed detail selections of healthy expectant mothers. The quality is equal to those from France and Italy, but the quantity is 3 times more. Because of many constituents inside, the unit of ingredient indication is mg. Not only it has the attribute of being water-solubility, but also is a mature product that has been put in clinical practice for more than 60 years. One 2mL ampoule contains: Bovine (Cow) placental organ Side-effects:In rare cases, allergic reactions that subside after the dosage is reduced or treatment discontinued. The dosage is usually set on a case-by-case basis according to the clinical picture and the patient's general condition. If not otherwise prescribed, the recommended standard dose is: 10-12 deep intramuscular (IM)or intravenously (IV) injections (of one 2mL ampoule each), 2-6 days apart. and it will take about 11-23 business days. please contact us for a return instruction within 30 days for a refund.